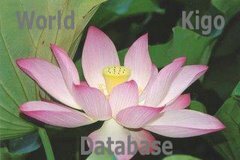 This is an attempt at classifying all items of the World Kigo Database in a Saijiki and Kiyose. It contains mostly LINKS to other pages with all the details. !!!!! WKD : List of Haiku TOPICS and KEYWORDS !!!!! Please use your BROWSER to find a word. It will take quite a while to complete! Your comments for improvement are most welcome!